Making a hardcover book is simple. Just cut some sheets of paper, fold along the grain, punch holes, and sew it together. All you have to do next is seal the spine with glue, attach the cardboard cover, and viola, a hardcover book! Sounds easy, right? It is, but how exactly does a printer select the most viable printing solution when it comes to hardcovers? Which method works best for these books, digital or traditional offset printing? Many times these two options come to mind, and questions have been raised since the introduction of on-demand printing. For starters, digital printing has significantly affected the sales of hardcover books according to Don Reisfeld, president of Morton Advertising. The demand for hard cover books is higher because of digitally printed high school yearbooks. Entourage Yearbooks and Express Press both offer cost-effective, on-demand yearbooks. Entourage does not require minimum order sizes, and ordering customized yearbooks is easy! Express Press uses variable data software to publish its selection of its Expressly-Yours yearbooks, but it took awhile to get to that step. When the company formed in 1978, the dated technology combining a small press and an ITEC paper plate dubbed the company a “quick printer." “In 2000, we once again took advantage of new technology to be a ‘quick printer.’ This time though, instead of letterheads, envelopes, and multi-part forms, we became a quick printer of yearbooks. We use the HP Indigo five-color digital press," explained Founder Bob Clar. The digital press allows the company to offer school customers quick turn around and lower prices. 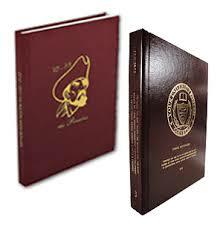 The prepress required in traditional yearbook printing in the past added to both cost and time. The Express Press staff turns out hard- covered, perfect bound yearbooks from start to finish in approximately seven weeks. Typically, the traditional yearbook publishers want the pages of the book to be available in January, for a delivery in May or June. With digital, the schools have gained many more weeks to gather information. Which even includes some extracurricular activities and sports that have been previously overlooked due to time constraints. The Internet plays a major role in the process. It enables schools in need of hardcover books to find Express Press, and place orders that are shipped nationwide. With the combination of the Internet and digital printing, Express Press, and its yearbook division, Expressly-Yours, is seeing continued growth. Because of new technological advances in the industry, the company’s digital printing method is actually offset printing using liquid inks. HP Indigo uses an inking system that is transferred to a blanket—like traditional offset. Besides yearbooks, hardcover photo books have also succeeded because of digital printing. Such books have kicked the market up a few notches, including HP’s Shutterfly, which produces customizable, hardcover photobooks such as wedding albums, baby books, and vacation memories. Currently offered in five sizes, custom photo books are available with a variety of cover options. Other hardcover photo book sites on the Web include Apple iPhoto, Kodak EasyShare Gallery, and Snapfish. There are also Web sites that allow creation of personalized hardcover books, including www.picaboo.com and www.myphotobookcreator.com. Photo books have been on the rise lately, and growth is increasing annually. All of Snapfish’s fulfillment partners print the books on HP Indigo 5500s, which use HP’s ElectroInk technology. ElectroInk is a liquid ink that combines the advantages of electronic printing with the qualities of liquid ink.